A former copper mining town surrounded by 12 million acres of public and tribal land waiting to be explored. Organ Pipe Cactus National Monument and Cabeza Prieta National Wildlife Refuge offer hiking, camping and birding. Ajo is located 130 miles west of Tucson. 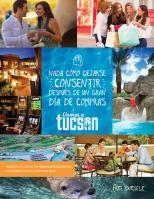 Its visitor center can be contacted at 520-387-7742 and inquiries emailed to: ajocofc@ajochamber.com. Visit the Ajo Chamber of Commerce website at www.ajochamber.com for additional information.